A struggling 20-something becomes an instant caregiver when her fiercely independent mother is diagnosed with brain cancer. Finding humor and hope in the darkness, their struggles and adventures are interwoven with glimpses of their unique relationship before their role reversal. “Now Then” is based on true events. Buzz, buzz, buzz. My cell phone vibrated. It was inside my purse and on silent. Though I had a pretty good feeling it was my mother, even without the Knarls Barkley (I think you’re) Crazy song ringtone I’d secretly assigned playing. I couldn’t quite explain it, and I knew it sounded eerie, but somehow I just knew it was my mother. Buzz, buzz, buzz. The phone taunted me as I rummaged through the depths of my bag. I was still at work, though already counting down the hours until I’d enjoy a Friday happy hour glass of wine. Buzz, buzz, buzz. The phone’s vibration was audible. I hated when my personal phone buzzed in the office – under the prying eyes of nosy co-workers and disapproving bosses. Didn’t people realize that phone calls were just too obvious? If something couldn’t wait until the work day was over, then send an email, or a text! But it was Mama. The caller ID confirmed my suspicions. This also made it more complicated. I knew my mother was stopping at the Apple store on her way home from some random test at the doctor’s for her latest ailment of the aging. I wondered if she would be able to constrain herself not to buy the new iPhone. I doubted it. My mother always had to have the latest Apple product, having been an original Mac junkie and Internet pioneer. “Hi Mama,” I answered, expecting to hear the busy noise of the Apple store in the background. “Hi Sydney,” Roberta answered shakily, the noise echoing over the built-in Bluetooth in her MINI Cooper. So she wasn’t inside the Apple store, I noted mentally – a small flag set off by her use of my full name. Maybe she was caught in traffic. But it seemed like something was up. Instinctively, my whole body went tense. “I just got a call from Dr. F. as I was sitting in my car about to go into REI. You know, I was going to look for another of my travel skirts that I love. Anyway, I thought she was calling about the message I left with her nurse,” Roberta explained, needing to describe every detail leading up to the point rather than just getting to it. I tried to focus on my mother’s story. My boss was sitting on the other side of a thin wall. “Mmhmm,” I mumbled, trying to keep my voice low, yet encouraging, not wanting to upset her. “Well, Dr. F wasn’t calling about the message I left. She hadn’t even gotten it yet,” my mother’s outrage evident. “She was calling about the MRI for the vertigo. She said I have a mass on my brain and that I need to see a neurosurgeon and then the phone cut out! I tried frantically to call back, but you know how the Haizer Medical phone system works. Once you’re out, actually getting on the line with your doctor again is nearly impossible. You have to work your way through too many nurses and gatekeepers,” she continued without breath. Or any pause for absorption. “Wait, what does that mean? A mass on your brain?,” I interrupted, no longer able to wait for this story to culminate. “Um, what time is the appointment?” I asked, trying to take in all that she’d just relayed while calculating the amount of time it would take to get from work to the hospital and what time my boss would likely let me leave work. “It’s at 4:10,” Roberta supplied. “Yes, of course,” Roberta says, slightly perturbed that I’d even ask. “Ok, I’ll be there as fast I can,” I promised. “Well, be safe,” my mother admonished. Either I can be safe or I can try to make it, I smirked to no one in particular. 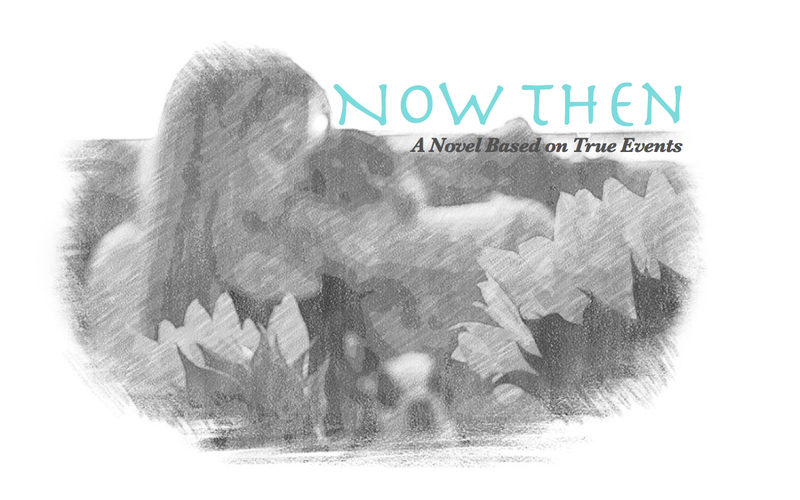 This excerpt of “Now Then” and the entire book are copyrighted November 2013.